After completed this tutorials your output look like this. 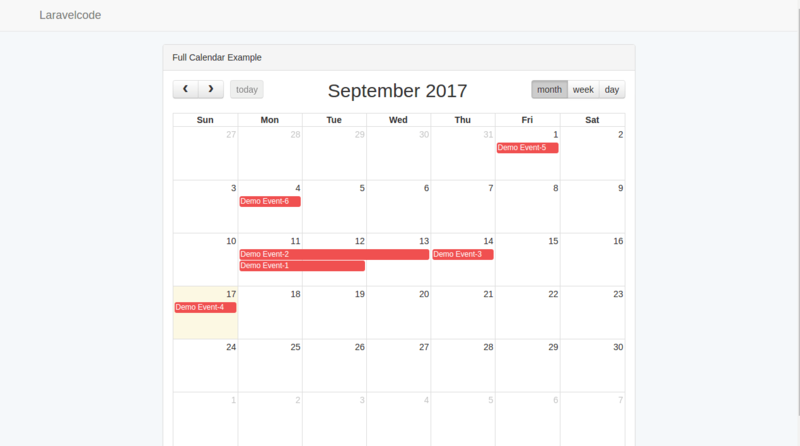 We are use here maddhatter/laravel-fullcalendar laravel package for integrate full calendar in our laravel application. simple run following command and install this package. After install successfully maddhatter/laravel-fullcalendar package in our application we need to set their Service Provider. so, open your config/app.php file and add following provider in it. Now create event table migration run by following command. 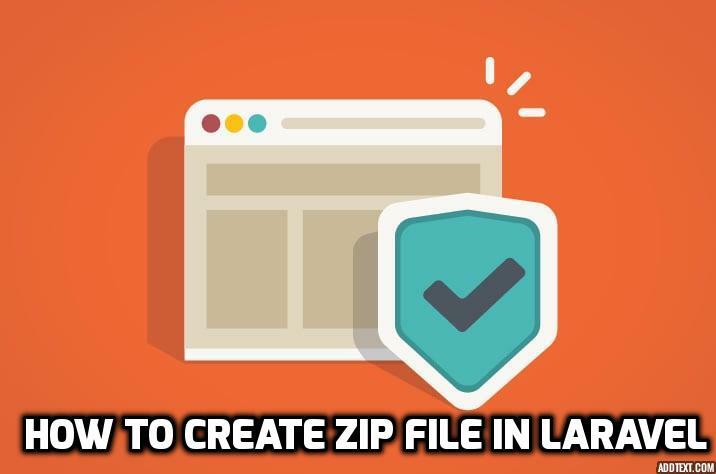 After run this command you can see one migration file automatic create in database/migrations folder. open it and copy past following code in it. Now run your migration using following command. Now create events table model run by this command. Now we are need some dummy data in events table. so, we are insert dummy data created by seeder. run following command create seed file. After run this command open database/seeds/AddDummyEvent.php file and put following code in it. Now run this seed by following command. Nex, create following route by display all events in full caleendar. open your routes/web.php file and create following route. Now create EventController.php file in app/Http/Controllers/ folder. Next, create fullcalender.blade.php file in resources/views folders and put into it folloawing content.